During the spring of 2000, eleven girls aged 8 to 16 from a variety of socio-economic backgrounds and two classrooms of middle and high school students were interviewed about their views on media culture and its impact on their lives. Their insightful and provocative responses provide the central theme of the film, a half-hour examination of how the media presents girls. 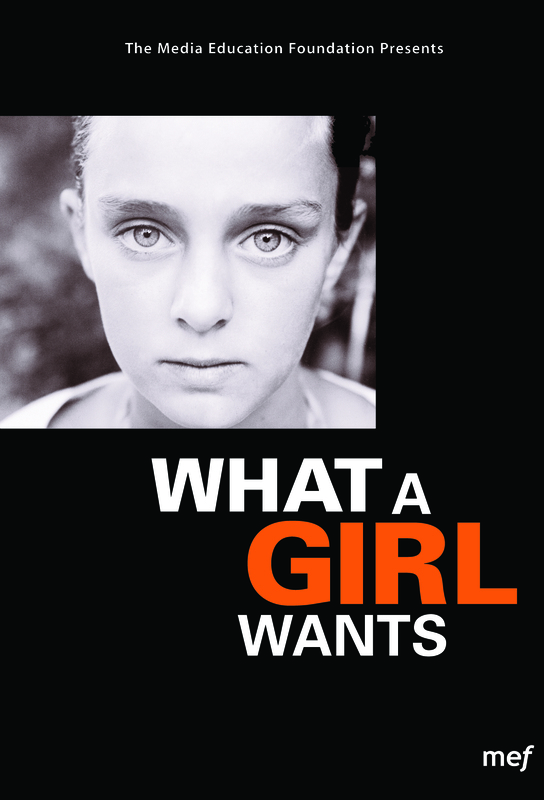 Juxtaposing footage culled from a typical week of TV broadcasting with original interviews, What a Girl Wants will provoke debate and, ideally, act as a catlyst for change in media content. Elizabeth Massie is a documentary producer, director and writer. Over the past seven years, she has written and produced shows for more than 35 non-fiction television series, including the top-rated History Channel series, Cities of the Underworld; Lock Up: Inside America's Prisons for MSNBC; A Face for Yulce for TLC (winner of Freddie, Hugo and CINE Golden Eagle awards); On The Inside for Discovery; Lifetime's and many others. She co-wrote and co-produced Out of the Shadow, a feature documentary about a woman's lifelong battle with schizophrenia and the mental health system. The film was aired on PBS affiliates nationwide and was featured in People magazine. She also was the writer for Emmanuel's Gift, a feature doc narrated by Oprah Winfrey which tells the inspirational story of Emmanuel Yeboah, a disabled cyclist from Ghana. The film received the 2006 Media Access Award for Outstanding Documentary. Massie founded CHC Productions with partner Matthew Buzzell in 1999 to create provocative documentaries about complex social topics, with a special focus on women's issues. Their first film, Who Cares About Girls?, was selected by the Council on Foundations as one of the 10 best foundation-funded films of 2000. This film explores the impact of media culture on the self-esteem of pre-teen and teenage girls. Massie holds a MFA in directing from the American Film Institute. "Bravo! This is the best video I have seen in a long time; very subtle and deeply moving." "Like Killing Us Softly 3 or Reviving Ophelia, What a Girl Wants presents, in teen girls' voices, another glimpse of how the media diminishes the value of young women. Here is the opportunity for educators to begin a dialogue with younger students on the impact of self-serving media messages." "...a good tool to use in classes on sociology, women's studies, gender, or media to portray how media truly does play a huge part in the way young girls see themselves in relation to what they see on the screen." "A simple indictment of the images of girls in teen media, and these images' impact on young consumers."